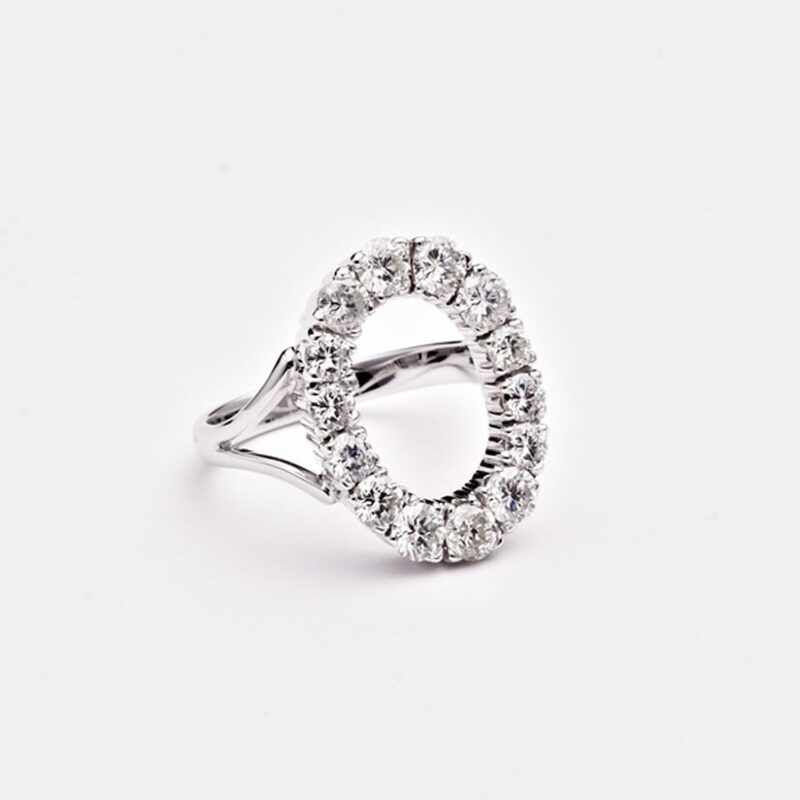 The client came to me with a flower cluster style diamond ring and pendant. She wanted to use all the diamonds to make an unusual engagement ring. The idea was a modern classic. The diamonds were 2 different sizes. When I suggested an open oval set with the diamonds not alternating big small big small etc., but to group them in 3’s and 4’s she loved the idea.